Tucked away South of Broad, this new listing at 24 Lamboll Street embodies history and charm with an enviable location in the heart of the downtown peninsula. Cobblestone streets, expertly preserved architecture, and nearby waterfront vistas make it one of the most desired areas to call home. Charleston’s world-class restaurants, exquisite art galleries and picturesque streets are just beyond your front door, but the area itself is extremely residential as it is set-back from the more heavily traversed streets. The elegantly appointed carriage home sits on Lamboll Street between Legare and King Streets. 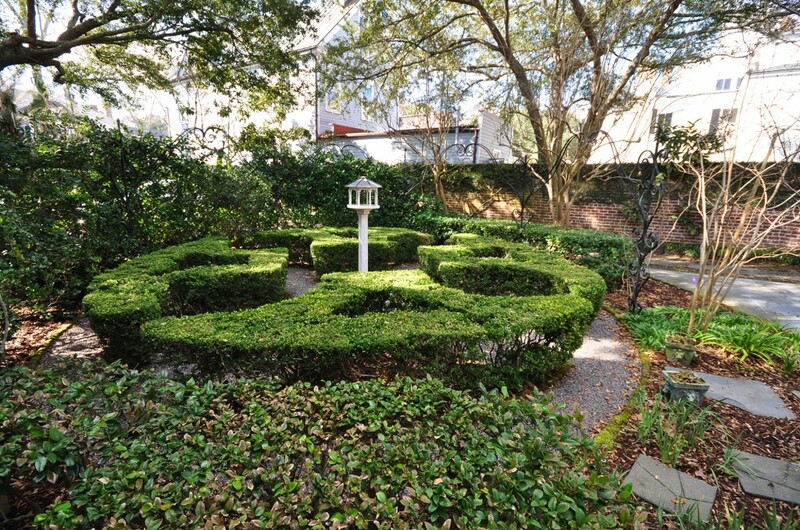 It is set back behind the front house to create an extremely private and tranquil setting. Immaculately maintained grounds include a formal boxwood garden and a courtyard which bursts to life in the spring with colorful blooms and flowering bushes. 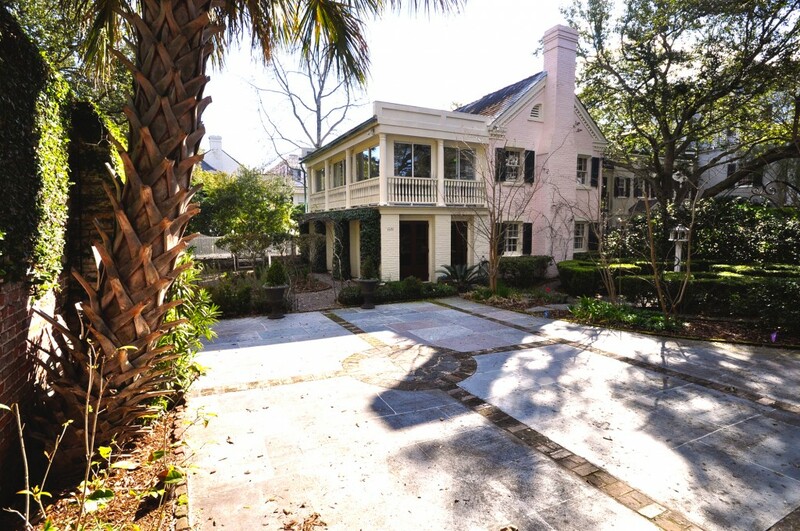 The gated property has two parking places and additional room to park cars in tandem—a true luxury in downtown Charleston. Inside, the renovated space is light-filled and flows seamlessly from one room to the next. Four sets of French doors lead into the sun room and dining area from the courtyard, cloaking the space with natural light and views of the landscaped grounds. 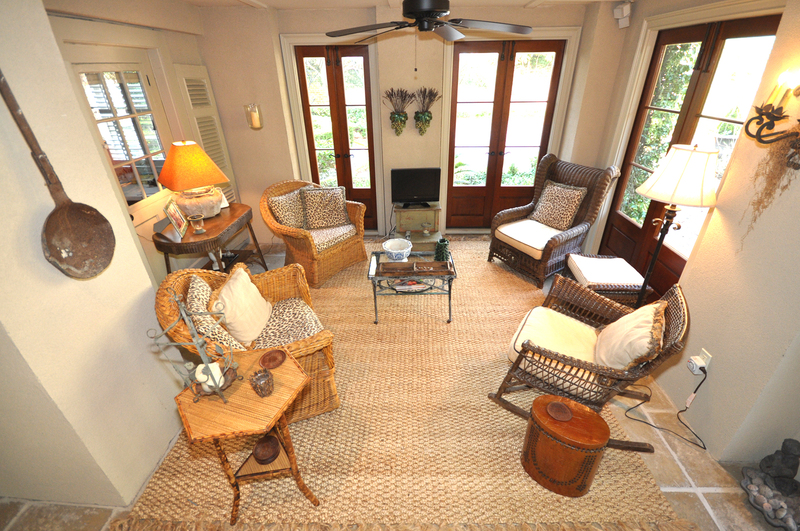 Open the doors on a spring day and revel in the warm breezes and fragrant smells from the garden! Just beyond this space is a small room, currently being used as a potting room, and beyond that is a dedicated office with a window looking out over the garden. A large, climate-controlled storage space leaves plenty of room to store your wares or it could be converted into an additional bedroom or guest suite. On the second floor of the home you will find the living room and kitchen—designed to capitalize on views of the brick-walled courtyard and surrounding homes. The open space has four sets of sliding glass doors that occupy an entire wall, allowing the sunlight and breezes to filter throughout the room. The kitchen has recently been remodeled with stainless steel appliances, including a gas range and Fisker Paykel dish drawers. An electric dumb waiter carries dishes and food down to the dining room on the first floor so you don’t have to navigate the stairs. 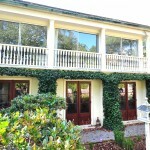 The home’s two bedrooms are also located on the second floor. The well-appointed master suite maintains some of the home’s original features with an original fireplace, but has been updated with an elegant en suite master bath with a tiled shower, marble-topped vanity and rubbed-bronze detailing. 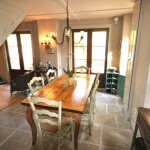 French doors open onto the Shakesperean balcony with private views of the landscaped grounds. 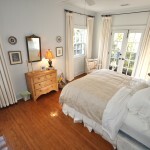 The guest room shares a similar set-up to the master with French doors to the balcony and a full bathroom in the hall. This charming and exquisitely preserved property combines a coveted South of Broad location with a thoughtfully designed interior and picturesque grounds. 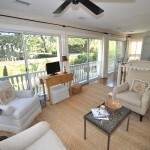 To see a virtual tour of the property, click here. For more information on the home or to schedule a showing, contact listing agents Jason Ogden or Melissa Martin.